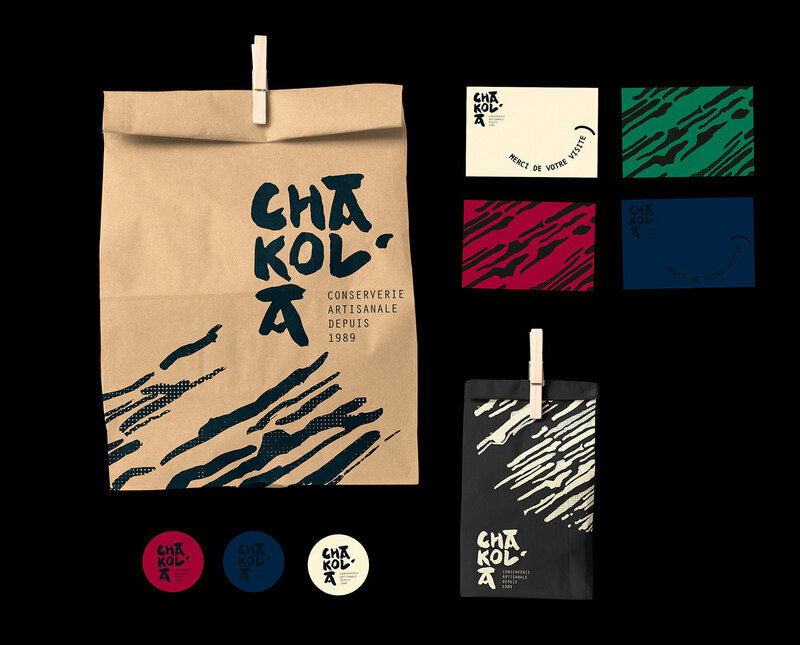 BIS Studio Graphique designed these business cards for Chakol’A, an artisanal canning factory and a delicatessen brand based in Socoa, Pays Basque, France. 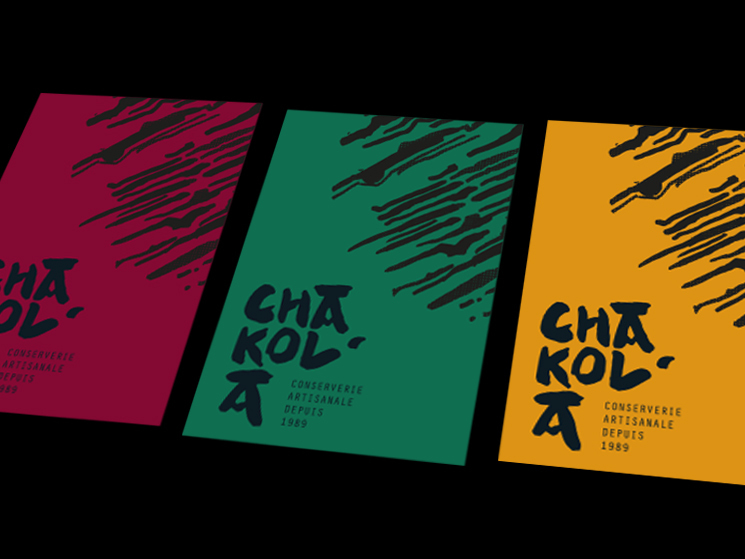 “Chakol’A is specialized in gourmet products and Basque terroir products. The design idea was to create a strong modern visual identity in line with the values and roots of our client. The goal was to enhance the value of the brand to attract another kind of new customers,” said Hugues Carrere, the Art Director of BIS Studio Graphique. BIS Studio Graphicque printed the business cards themselves and they did it brilliantly! These cards were printed on multi-coloured 350g matte paper stock; with deep, matte black perfect ink for the silkscreen printing process. 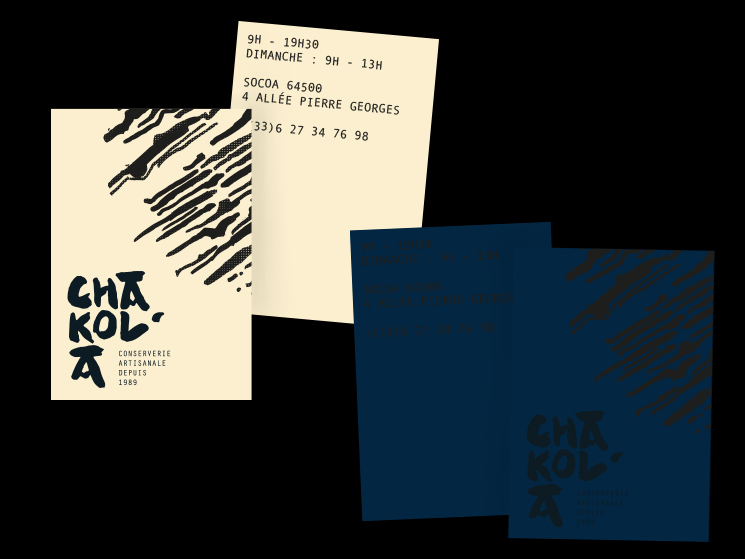 According to Hugues, they chose to print the business cards with an artisanal silkscreen print process in order to create an artisanal touch for the brand. Designed by BIS Studio Graphique, based in Toulouse, France. 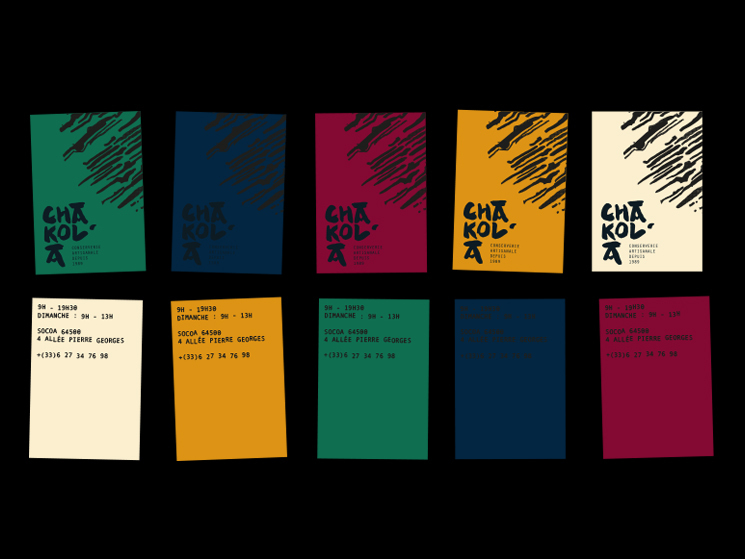 Composed by 2 French freelance graphic designers: Hugues Carrere & Lilian Chevallier.